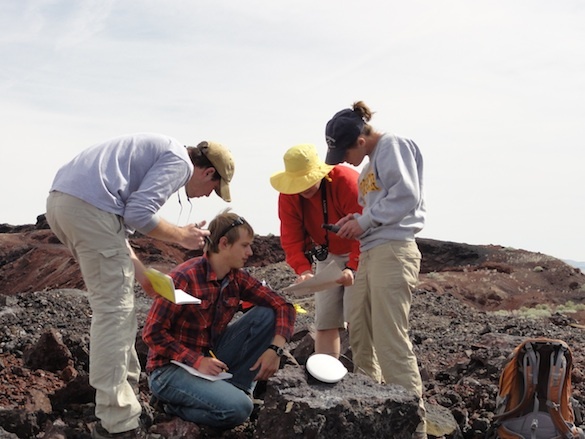 What do volcanic bombs, xenoliths, and giant gypsum crystals have in common? 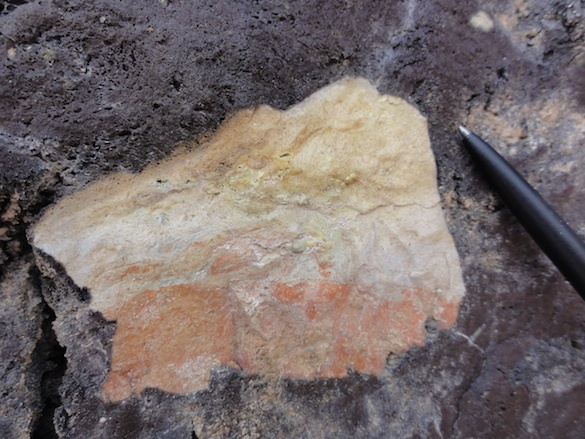 FILLMORE, UTAH – What do volcanic bombs, xenoliths, and giant gypsum crystals have in common? Not much, except that we saw them all during our long and productive day. We met to pack lunches at 7:30 am and finished with student-faculty meetings at 10 pm, so we’re all ready for a good night’s rest, but we thought we’d give you a quick update on our progress. We spent the morning as a mob on the rim of the cinder cone, searching for volcanic bombs for Will's ballistics study. 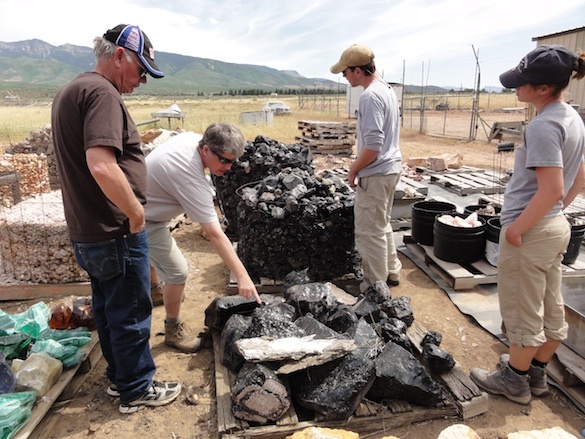 Will found a wide variety of bombs, or material that was explosively ejected from the volcano when it was molten. He made a number of measurements that he'll use in his mathematical models when he returns to Wooster. 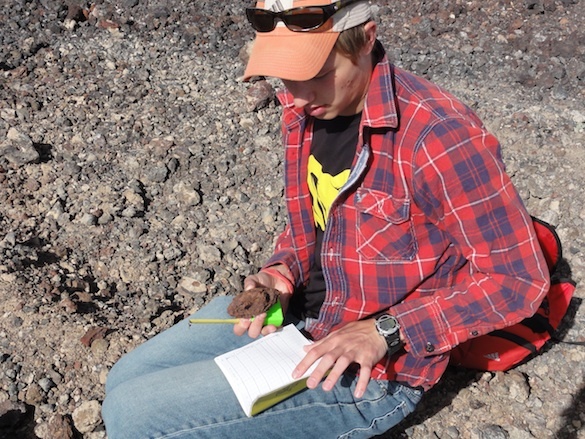 In the afternoon, Kevin led a group to look for xenoliths, or foreign rock fragments, in a lava flow. This sedimentary xenolith is affectionately named Neopolitan. At the end of the day, we visited with Larry Gehre, who so graciously showed us his amazing personal collection of rocks. If you have a sandstone feature in your aquarium, it probably came from Larry. 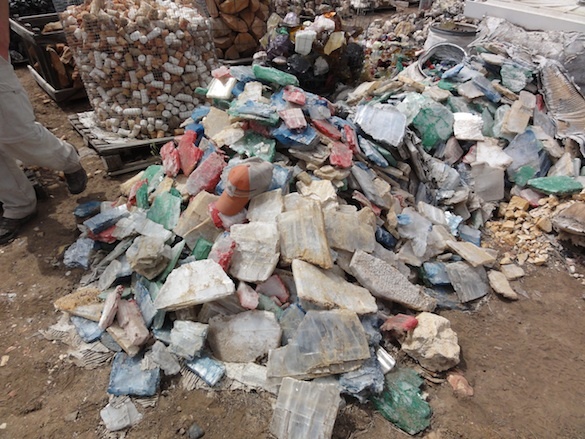 We were all impressed the size of the gypsum crystals in his scrap pile. Note Will's hat for scale. Although it was long and challenging, the cool temperatures and partly cloudy skies made for a pleasant day in the field. Back to the lava fields tomorrow to check out some scarps and map flow boundaries. Wish us luck!